Vincent Scully has long been one of our leading architectural historians, and easily the most confident and audacious. Yet lately his status has shifted. Introduction by Keith Eggener. Archival Text by Vincent Scully. Left behind in the Internet era is a rich store of essays on design which have limited cultural presence because they are not online. In our ongoing series Future Archive, we republish significant 20th-century texts, each selected and introduced by a prominent scholar. So wrote Vincent Scully in the Architectural Review in the spring of 1964, in a critique of Paul Rudolph’s then new Art and Architecture Building at Yale University. Academic architectural historians don’t write like this anymore, not even when acting as critics. It’s not so much the descriptive immediacy or metaphorical aptitude that strike the modern reader, though these too are rare enough. Rather, it’s the author’s confidence, his presumption of irrefutability: the superlative “most,” the full national moniker, the conclusive “bar none.” To doubt him would be foolish or rude, possibly treasonous. Vincent Scully often and unabashedly used such terms: the most, the best, the worst. But in recent decades we architectural historians have become a more cautious tribe, at least when it comes to separating personal opinion from universal truth. So the audacity of his pronouncements both repels and fascinates. Our declarations today, by contrast, are often as not painstakingly qualified, apologetically swaddled in our subjective positioning, held at arm’s length like someone else’s disagreeable baby. Such is not the stuff of spellbinding prose, but that was never Scully’s problem. Even when wrong he was stirringly, scintillatingly wrong. Reading Scully today, one feels the still-live charge of his engagement with objects and audience. As prolific as he was passionate, Scully published over 200 essays (scholarship, criticism, reviews, introductions to others’ work) and around fifteen books (not counting revised editions). 10 Topics ranged widely, from ancient Greece (The Earth, the Temple, and the Gods, 1962), to 16th-century Italy (The Villas of Palladio, 1986), the Native American Southwest (Pueblo: Mountain, Village, Dance, 1975), modern Europe (Modern Architecture: The Architecture of Democracy, 1961), and North America from the colonial era to the present (The Shingle Style, 1955; American Architecture and Urbanism, 1969; monographs on Wright, 1960, and Kahn, 1962). “The primacy of the experience of the work of art,” wrote former student Neil Levine, introducing a collection of Scully’s essays in 2003, was “at the core of [his] writing.” 11 This is true but incomplete. Reading Scully’s work today, one feels the still-live charge of his engagement with objects and audience. He seduces and cajoles, demands and rewards. His ardent, evocative, intensely descriptive language foregrounds his own empathic involvement with sites and artifacts and, just as importantly, his efforts to recreate those experiences for readers. He analyzes a building’s broader architectural and environmental contexts and makes pointed observations about its cultural, social, and psychological ones as well. In this he is erudite but never oppressively so; where other context-minded art historians, from Erwin Panofsky to T.J. Clark, are dense and showy, Scully is nimble and fluid. His consistently lucid prose aims to put even the most esoteric material within reach of undergraduates and specialists alike. His many accomplishments and honors notwithstanding, Scully’s status among architectural historians has changed since the 1990s — not declined exactly, but shifted in value, slowly but ineluctably. He has become a sort of national monument, and like any monument he is bound to disappoint some. Partly this is a function of his age and ever-receding publication dates. He is still immensely respected, to be sure, and he is still cited, though usually for one of a few pithy quotes or as an historical figure, rather than as a vital part of contemporary discourse. There has been criticism of his work — inevitable given his fame and wide-ranging professional activity — though this is more in the air than on the page. Anecdotally, I have heard colleagues remark on his “impressionistic” approach, his sometimes superficial or anachronistic analogies, factually thin interpretations, or other deviations from supportable, evidence-based practice. Occasionally such assessments appeared in print. Classicists objected to his reading of ancient Greek architecture, anthropologists to his outlook on the Pueblos, modernists to his views on modernism. 16 Other critics, for reasons of ideology or taste, have more recently questioned his zeal for certain postmodernists (Stern especially), his meddling opposition to Athens’ modernization, his outmoded American exceptionalism, or his embrace of a widely suspect New Urbanism. 17 Given his tendency to present opinion as fact, it is unsurprising that some would hold these enthusiasms against him. Scully’s accessible language and celebrity status raise other issues more general to academia today. Within the university, writing as clear and engaging as his is not only uncommon but unwelcome — or so it often seems. Too often we (and here I refer very generally to contemporary academic historians) conflate clarity with reduction, obscurity with depth. If scholarly writing aims to give pleasure or stir emotions, it is assumed to lack substance, seriousness, or reliability; it isn’t scholarship, in effect. A colleague of mine, as we were leaving a lively and quite elegantly written lecture recently, dismissed it as having had “too many bells and whistles.” As one who gets drowsy in dark rooms and much prefers bells and whistles to hairshirts, I was perplexed but not surprised by his comment. Harvard historian Jill Lepore, writing about “the new economy of letters” and the grim quality of so much academic writing, put it thus: academic publishing “has not rewarded clarity or beauty or timeliness, and it has not made a priority of satisfying readers or earning profits because it was not designed to do any of these things: it was designed to advance scholarship. This … has produced a great heaping mountain of exquisite knowledge surrounded by a vast moat of dreadful prose.” 18 Those academics that do write for general as well as university audiences and gain some celebrity in the process [e.g., Simon Schama, Doris Kearns Goodwin) are chided for “popularizing” or “dumbing down” their subjects. Scully earned his celebrity at a time when fame was far more rare and less readily assailable than it is today (no blogs, Twitter, YouTube, comments threads, or reality TV). But in the new intersection of academic and media landscapes, even old fame raises suspicions that rigor or integrity must be lacking. Many among us might quietly anticipate and reasonably expect our moments on NPR or Slate.com, but we don’t much like it when others get there first. Envy and disdain are inevitable offshoots of fame’s democratization. Ask any Kardashian. But let’s grant that Scully did “twist phenomena to his perceptions.” The real problem, as I see it, is that he did so by misrepresenting “perceptions” as facts. Scully’s is a humanistic literature having much in common with the “creative non-fiction” of today’s literary landscape. 23 He starts with actual objects, subjects, facts, and events, but he then combines and develops these with literary reference, historical analogy, descriptive exegesis, and his own ever-present and powerful authorial presence. At times he all but jettisons any pretense of objectivity and models buildings into things that didn’t quite exist before he recognized and activated them. This can make for thrilling and unforgettable criticism; it’s also understandably dubious to historians who regard themselves as social scientists, or for those post-postmodernists who conflate “the return of the real” with a “return of the verifiable.” It may be useful here (if mildly perverse) to draw an analogy from the hard sciences: at its most “impressionistic,” Scully’s critical-historical output — and by the 1960s there was little real difference for him between these modes — was more like speculative “pure” research than applied or directed research. One can imagine him thinking: What would happen if we tried this? Or consider this: in her 1987 New Yorker review of Michael Fried’s Realism, Writing, Disfiguration: On Thomas Eakins and Stephen Crane, Janet Malcolm wrote, “only when criticism is radical does it stand a chance of being something more than a pale reflection of the work of art that is its subject. By disfiguring the work of art almost beyond recognition, Fried forces us to imagine it anew — not a bad achievement for a critic.” Scully, in both his historical and critical hats (and again, I stress the likeness of these), moved through similar, if less radical, terrain. He was at his most commanding in the realm of possibilities. This, I’d guess, is what ultimately made him so inspiring to so many young people. Regardless of its origins, he could spin architecture into existential drama — an irresistible turn for a demographic besotted with the drama of its own unfolding lives. And as much as he sometimes demanded readerly submission, he also opened doors and made way for others to pass through them. Said Richard Conniff, in a profile written for the Yale Alumni Magazine, “Scully doesn’t mind if students disagree with a particular interpretation; his purpose is mainly to give them the faith that interpretation is possible.” 25 Provided that it comes with one proviso — interpretation must be grounded in evidence: anything does not go — this seems a practical, honorable goal for historians still. In Paul Rudolph, Scully found his temperamental counterpart. Just two years older than Scully, Rudolph began working as a visiting critic in Yale’s Department of Architecture in 1955. He became chairman there in 1958 and stayed in that role for the next seven years. Timothy Rohan, in a recent monograph on Rudolph, calls him the “foremost postwar advocate in the United States of a subjective approach to modernism emphasizing dramatic expression.” Born from an “empathy-based” design methodology, Rudolph’s buildings were “intended to affect the viewer physically and emotionally.” 26 Like Scully he was drawn to themes of humanism, individuality, archetype, and American character. During the late 1950s, he also shared Scully’s admiration — then rare according to architectural historian Richard Pommer — for certain late works of Wright and Le Corbusier, designs that provided an “assertion of eternal rather than merely modern architectural values.” 27 In direct opposition to the scientific, objective, research-based ethos then prevailing at Walter Gropius’s Harvard GSD, Rudolph and Scully made Yale the place to study architecture as a humanistic discipline centered on individual experience and creative expression. With just over three pages of text (plus drawings from Rudolph’s office and photographs by Cervin Robinson), the essay is a compact tour de force, bearing all the hallmarks of Scully’s distinct and impassioned approach: his precise, visceral descriptions of space, form, and design process; his alert reckoning of formal ancestors and immediate urban context; his unflinching assertions of quality, meaning, and effect. Linguistic and rhetorical flourishes abound. A classroom in the basement is “entombed,” “terrifying,” compared to a chamber in Khufu’s pyramid. The sculptors consigned to the lower levels bear “troglodytic resentments” toward their new quarters and the architect who made them. A neighboring revival-style building is “flatulent, if heroically scaled.” As a whole A&A is “furiously ambitious,” “protean and elusive,” “violent” and “dangerous.” In Scully’s handling the building becomes a willful thing — oppressing, releasing, pushing, demanding. It poses like a dancer, stamps and rears like a horse, its lurching forms representing Rudolph’s own “embattled command.” The tone throughout is nearly operatic as two creative wills — Rudolph’s and Scully’s — collide and collude upon the page. After this, ever in tandem, Rudolph and A&A’s fortunes would fall and rise again. Already at the gala opening ceremony — and to Rudolph’s visible dismay — keynote speaker Nikolas Pevsner rebuked him for making a building that was too individualistic, “a reactionary undermining of modernism.” 34 Following Rudolph’s departure from Yale, in 1965, his successor, Charles Moore, modified the interior and spoke disapprovingly of the design as “a personal manifestation for non-personal use.” 35 Students branded it egotistical and authoritarian, defacing it with graffiti while university administrators allowed it to deteriorate. On June 14, 1969, in a fire that many suspected was arson, the building was gutted. 36 Poorly repaired post-conflagration, it continued to suffer from deferred maintenance and harsh critical assessments. By the 1970s Yale’s future Dean of Architecture Robert Stern called A&A a “functional failure,” and even Scully lost faith, upholding the building as the architectural inauguration of America’s “tragic” decline during the 1960s. 37 Meanwhile, Rudolph — his most famous building in ruins, his reputation in decline, his workload waning — turned to domestic projects, and later, in his final years, to far-flung and often unrealized designs for Singapore, Hong Kong, and Jakarta. 38 He died in 1997. Since then, of course, Rudolph’s reputation has rebounded. A new enthusiasm for mid-century modernism and a renewed appreciation for dramatic, expressive architectural forms have raised his profile. So too did his death: in one obituary, Michael Sorkin pronounced Rudolph “the greatest American architect of his generation.” 39 In 2008, following a $126 million renovation, Rudolph’s Yale masterwork reopened as Paul Rudolph Hall. 40 Timothy Rohan’s monograph was published last year and the architect now seems firmly positioned as a canonical American modernist. And yet, like so many other important mid-century modernist buildings — particularly those labeled “Brutalist” — much of Rudolph’s work has recently been demolished. Still more is under threat. 41 This alone makes Scully’s essay well worth reading now, for it returns us to a moment when a classic was still new — not a monumental survivor of a lost era but a work of architecture integral to a broader network of buildings, people, and events. Here is that moment when such a seemingly blunt, brutal, and now-familiar thing was first seen, “as complicated as any human soul.” Scully’s language here remains a model for those critics and historians who find value in the emotive, who seek to engage and activate as well as inform. From Architectural Review, May 1964. This furiously ambitious building is the first of its architect’s full maturity. It is surely the most historically significant of the many buildings constructed at Yale since Louis I. Kahn’s Art Gallery of 1951–58, and it demands and rewards extended critical attention. Though completed only barely in time for its dedication on November 9, 1963, it has already attracted extravagant dislike and no less fulsome admiration. The hysterical twittering of the ninety-four painters who are caged in what can only be regarded as its entablature, and the heavier, troglodytic resentments of the seventeen sculptors who have been driven down into its second basement, are more than matched by the euphoric beatitude of the one hundred and seventy-three architects and planners who, under the white-painted eyes of Minerva, are now expanding grandly through its airy middle floors. It might be argued that such distribution of space is iconographically appropriate for the various arts involved: sculpture primitive and fundamental as old bones and so lodged in a cavern, painting occupying the traditional garret and roof-terrace (les toits de Paris) with a fine view across the stone-, land-, and seascape that New Haven is, architecture engaged in its usual mass operation in the middle of the road. True enough, the functional requirements involved might have suggested other spatial solutions. The painters insist, perhaps rather unreasonably, that they have not enough usable volume for their present numbers and will not have enough when they take over the area now assigned to city-planning offices on the sixth floor. In most of their area the ceilings are too low for proper lighting from above. Everywhere the building tends to elbow in at the corners of their vision, coming insistently between their canvases and them. Down below, the sculptors have a restricted volume of air in which to set solid forms. Their ceilings are generally too low. A few feet under the floor lies water. The building could dig no deeper, and, for urbanistic reasons best considered later, Rudolph decided it should go no higher. The sculptors feel that the three ingenious monitors which rise another full floor-height from their level are not themselves wide enough to do other than to admit light and to emphasize the oppressive horizontality of most of the space. They do afford staggering views up the sides of the building, however, and there may in fact be more spatial release in them than has yet been appreciated. The sculptors have also been given a small but high studio once intended for Graphics. That department is housed in the first basement and has a better distribution of areas for its twenty-eight students, although the ceilings are still inordinately restrictive. Wrapped in the centre of the two basements, a large, double-height lecture room is entombed. Its atmosphere, despite excellent ventilation, still seems as oppressively close as that in Khufu’s chamber. It is called Hastings Hall, and was named after Helen and Thomas Hastings, of the architectural firm of Carrère and Hastings, whose heirs contributed the money for it. The name, which euphonically calls up The Rover Boys at Princeton or something innocently ivy-clad of the sort, is spectacularly inappropriate for this terrifying room. A fine painted cloth by DeKooning cloaks the ductwork behind the speaker, and two Greek Revival Ionic capitals are flourished like severed heads on tall thin pikes before it. Another level up (that is, at ground floor level), the Art Library occupies an entire floor and has one of the most successful spaces in the building: well lighted, expansive where it needs to be, offering a multitude of vistas that continue outward toward the street and the courts, and upward through the building and toward the sky. It also has a small mezzanine, more or less at the level of the vast exhibition and jury space which, glass-walled to the library, occupies most of the first floor. That is to say, the library is at grade and is reached by a tiny door and narrow corridor off the main entrance stair on York Street. That stair lifts grandly, though hastily designed (visually, not pedally, one guesses) with low, deeply undercut risers that can trap the feet. It is open to the sky between the towering, overhanging cliffs that rise on both sides of it: the body of the building to the left, the major stair and elevator tower to the right. Ahead, the landing at first floor level is not enclosed, so that an exhilarating wind whistles through it and up as well. Here a metal construction by Josef Albers is flattened against the wall like, as one student put it, an aeroplane which has crashed into the building. This is the most dramatic entrance in the United States of America, bar none. It does not lead anywhere in particular, however, so tentatively pluralistic are the choices it offers. That is to say, movement from it to the left brings one rather decisively into the exhibition area, movement right merely to the stairs and elevators that serve the other floors. Circulation is thus split, although there is another stair tower, serving all levels, whose landings pop in and out at the far corner of the building. The exhibition and jury floor with its mezzanine of offices may seem rather lavish in conception in comparison with some of the accommodation described below. It functions splendidly, however, serving all disciplines well, and a spacious student lounge and a lovely small classroom, tucked into the south-east column-cluster, open off it. Originally its space was to have been extended vertically in two slots of skylight through the height of the building, but this was prevented by the newer provisions of the building code relative to fire. Fragments of the Parthenon frieze, sprayed white and spotlighted, slide vertically down a three-story well, sending faculty mad with rage. These provisions are beginning to affect American architecture noticeably, and generally for the bad. Open stairways are forbidden in public buildings, for example. Unlike Philip Johnson, who rather disastrously compromised between conception and code in the stairway for his Geology Building at Yale, Rudolph made a positive virtue of the enclosed stair. It sneaks around through the tower, secret and labyrinthine, its landings opening upon unexpected heights and chasms. The University’s collections of plaster casts, long abandoned in various basements, reappear here, as elsewhere throughout the building. Fragments of the Parthenon frieze, sprayed white and spotlighted, slide vertically down a three-story well, sending some of the faculty mad with rage. Finally, above the architects’ cathedral and the painters’ attic (la vie de Bohème), a dizzy guest suite high in space climaxes the tower; a wide view opens from its gusty terrace and from the sheltered roofscape behind it. “East” and “West” Rocks rise to the north; most of Yale spreads out in that direction. South-eastward the harbor can be seen with the wind on it; the Connecticut Throughway curves along its shore. Closer on that bearing the city is rent by the Oak Street Redevelopment Area — at present, God help us, a sea of parked automobiles winking in the sun. More directly eastward and close below, Chapel Street leads toward New Haven’s splendid Green; along it are placed the other buildings which serve Yale’s elaborate program of teaching for the visual arts. First, across York Street, stands Kahn’s Art Gallery. Rudolph’s structure now looms above it. Seen together, the former has a taciturn air, the latter a somewhat gesticulatory one. This occurs, I think, because the closed box of the one is visually contained within the open gesture of the other. They complement each other exactly and, in my opinion, so constitute a triumph of urbanistic design. Westward is Egerton Swartout’s Old Art Gallery Gallery, of 1926–28. This flatulent if heroically scaled exercise in semi-pseudish Romanesque still serves its original function, but is also riddled with art historians, who manfully hold its bridge across High Street and now Street Hall as well. That sharp little prism of Victorian Gothic form was designed by Peter Wight in 1864, replacing the original Trumbull Gallery, of 1832. Painters and sculptors occupied Street Hall until the recent move, and it should in all fairness be said that they never seemed overly fond of its accommodations either. Thus, when in 1958 it was decided to construct a new building to house all the arts together, Street Hall was to have been demolished to make way for it. Rudolph, who had become chairman of the Department of Architecture in 1957, produced a few tentative designs for that site before wiser counsels, his own among them, decided to spare Street Hall and, finally, to remodel it for the art historians. Before having undertaken any of those studies, Rudolph had suggested either Kahn or Le Corbusier as the architect for the new building. It is perhaps understandable, though hardly heroic, that Le Corbusier’s name should have been rejected by University authorities as that of an architect too far from the scene, but the University’s failure to date to re-employ Kahn is surely one of its special minor shames, especially in view of the quantity of construction, little of it anywhere near Kahn’s mark, that Yale has undertaken since that architect began it all in 1951. The rejections, however, were hardly Rudolph’s fault or, in fact, his responsibility. Indeed, his own building shows the influences of his first two choices for it, since it echoes at once Kahn’s towers and Le Corbusier’s active sculptural force. The exterior of the very first project for York Street is most specific, reminding us at once of Rudolph’s second High School for Sarasota, of Chandigarh’s piers, and of one of Kahn’s early perspectives for the Medical Laboratories at the University of Pennsylvania. At the same time, Rudolph’s increasingly complex interlocking of spatial volumes throughout all his [earlier] projects for the Art and Architecture Building specifically recalls the neo-plastic experiments of the ’teens and early twenties. His other work also shows that he had been interested in these for some time. Here, however, a brio decidedly like that of Lissitsky is felt. Lastly, a more fluid sweep from part to part in the final project recalls Frank Lloyd Wright as well, especially the early Wright of the Larkin building (though now the vertical continuity is unhappily foiled by the fire laws), four piers rising in the centre, trays of space slung horizontally around them, circulation gathered in towers at the corners. In this relationship to the early work of Wright one is, of course, again reminded of a similar stage in Kahn’s career. Each “leg” thus became a long, low, comparatively narrow tray of space. If such a tray opened upon one of the high central voids all worked well enough in terms of spatial yolume. The ground, first, second, third, fourth and fifth floors all did so in one way or another, but the basements and the fifth and sixth floors — the painters floors’ — were cut off enough from the open centre to make the rigidly compressed horizontality of the each tray both spatially depressing and awkwardly dimensioned for subdivision. The whole complex now began to integrate along these lines. Vertical towers visually supported horizontal slabs to create interwoven spatial volumes. The high central spaces were externally revealed on the east side, giving the building a kind of expansive breadth which intensified, by contrast, the obsessive interlocking of the narrow horizontals. Between the girders, the glazing, innocent of integral sun-protection, never became more than an extraneous element in the design as a whole, which persistently demanded to be read in terms of its solids — as, that is, bridges spanning between towers. Hence the necessary stiffening mullions have remained visually disturbing, since, though quite large and obtrusive, they are clearly not involved in the intricate rationale which binds the other forms. Finally, the major stair tower at the north-east corner succeeded in shaking itself loose from the rest of the building in order to become a stationary principal in a dance: standing clear of but supporting the elaborate gyrations of its partner. The great precipice of its north side was left pierced by a window at each elevator-landing to allow the eventual expansion of the building in that direction, so far blocked by recalcitrant landlords. Indeed, even the most minor of programs carried out there could easily solve the spatial problems of the painters and sculptors. Those problems had, of course, now passed the point of no return so far as the sequence of design was concerned. The sculptors had to be pushed down to keep to the restriction in height, while the painters’ upper levels now clearly came to be regarded as plastic terminations for the building — as, in fact, massive horizontal solids, like great beams, which the towers visually carried and with which the terminal interlockings were made. (The tower lifting the high volume strongly recalls Le Corbusier’s pier-lift of horizontal cells at La Tourette. Rudolph clearly likes the effect and is using it further in his vast Service Centre for Boston.) Fenestration was confined to a narrow horizontal slot, and a structural but decoratively conceived semi-triglyph-and-metope feature was developed in order to punctuate it. The timber-like quality at that final level superficially recalls Tange’s detailing in concrete. Rudolph, therefore, tested various kinds of forms and finally designed a ribbed type with bevelled, trapezoidal battens which brought the aggregate pushing forward in vertical ridges. The effect was brittle and indecisive, however, until he hit upon the device of bashing the formed surface with a hammer, so “pre-weathering” it and bringing the aggregate out. This method, which proved to be quick and inexpensive (the building came in at $26 a square foot overall) and is now being used in other buildings, gave him exactly the kind of vertically continuous surfaces he wanted; by emphasizing the joints of the pours he inscribed the horizontal structural components upon it. Naturally enough, the linear striations were entirely in accord with his drafting technique. They also reduced the apparent weight of the mass as a whole, so making it more civil in town than untreated concrete normally does; though that effect here is obviously purely visual, not tactile. Rudolph’s buildings give the impression of having taken shape according to their architect’s embattled command. The original intention, as perspectives right up into early stages of construction show, was to surface all the beams and slabs in the same way, and one or two so finished can be found far down in the depths of the building. The visual illogicality of the system for horizontal elements was soon apparent, however, so that all the rest of the beams were finally left naturally brut. They thus furnished a welcome expression of structural articulation to the interwoven solids. The concrete was also formed naturally in the stair-wells and in some of the other more restricted spaces — for the excellent reason that the slotted and bashed surface is one of the most inhospitable, indeed physically dangerous, ever devised by man. Brushing against it can induce injuries roughly comparable, one supposes, to those suffered in keel-hauling. The building thus repels touch; it hurts you if you try. The sense is of bitter pride, acrid acerbity rising perhaps to a kind of tragic gloom, since the light falls across the gashed ridges in long dusky veils, all brightness eaten by the broken surfaces, no reflections possible, instead sombre absorption everywhere. Artificial lighting itself presents a special problem under these conditions. This is best seen in the exhibition area; spots of brilliance must hit the eye — that is the lighting system anyway, divisive and space-cutting — since nothing can suffuse or glow across a plane. Contrast should be made with Le Corbusier’s handling of the problem, where the placement of the planks in the forms imparts to the concrete a surface which expresses the loving care with which it was received in the pour. One might say that it was cradled there; here, despite an even higher level of structural detailing, it is squeezed and splintered. One is reminded of some of the general comments made by John McCoubrey relative to a traditional lack of love for the medium itself on the part of American painters in contrast to those of Europe. Paradoxically enough, craftsmanship, however high in fact, is persistently underplayed in effect for other values, generally those of an impatiently expressive intensity; so here, where the surface rushes up, stretching thicker and thinner, devouring light, dripping and scratching off like the heart-stopping broad strokes of Franz Kline. It is here perhaps most of all that Rudolph moves into the fullness of his generation and the most characteristically American development of his powers. Behind his work lies humanistic European precedent in Le Corbusier (his heart’s rival), a reviving native tradition in Wright (the grandfather safely gone), and the challenge of that special generation which is represented by Kahn alone. But through it all his own insistent will holds sway, and most earnestly so. Thus Le Corbusier’s buildings at their best give the impression of having taken shape according to a passionate force integral to themselves, Kahn’s as if in response to some solemn law, Rudolph’s according to their architect’s embattled command. Whoever uses the building is caught up in that human complexity — in the curiously intimate scale of personal drama — in that insatiable will and unappeasable anxiety. This is, one imagines, the larger reason why the painters and sculptors hate it so, who wish to be caught up only in their own. Into every intersection the abundant energy reaches, the power and the unease. One senses the fast-drawing pencil with its compulsively neat, parallel linear shadings, which studied each nook and cranny time after time, proliferating forms, breaking them down, recombining. Total integration is the intention — of interior and exterior, of all floors, which cease to exist as such —total integration and the constant action of surfaces. So throughout the whole fabric the process of analysis is felt; areas break in the end into microcosmic cells, like, for example, the serried army of compartmented drafting tables which now jostle each other in the architects’ grand hall. The competitive creation of forms: this is clearly what the building is about. This process is its obsession; through it its program, protean and elusive, is fulfilled. So everywhere the casts appear, trophies of creative acts long gone, scalps and challenges. So, too, most appropriately, the building now holds a few of Sullivan’s bronze panels and wrought-iron screens from his Stock Exchange Building, and plaster casts of his swirling, interwoven ornament from the Schiller. How full and calm, how humanely kind even, these now seem to be when they are seen in their new setting here. How raw and violent it is — that is, we are — how resourceful, determined, and uneven in strength: all this so truly, openly, with so much talent, I think bravely, stated here. This is the third installment in a new series, Future Archive, funded by the Graham Foundation for Advanced Studies in the Fine Arts. The archival text appears with the permission of the Architectural Review. Vincent Scully, “Art and Architecture Building, Yale University,” Architectural Review 135 (May 1964): 324-332. See Neil Levine’s “Introduction” and “Biographical Sketch” in Vincent Scully, Modern Architecture and Other Essays (Princeton: Princeton University Press, 2003), 8-33. Hitchcock, then teaching at Wesleyan University, was invited to head Scully’s dissertation committee by his original advisor, George Heard Hamilton. Alexander Gorlin, “Passion Plays,” Metropolis (April 2006) accessed 4 June 2015. John Tierney, “Mr. Scully’s Architecture Class is Dismissed,” New York Times (28 April 1991), accessed 4 June 2014. Scully continued to teach on a part-time basis at Yale and the University of Miami until 2009. See: Vincent Scully, Louis I. Kahn (New York: George Baziller, 1962); “Light, Form, and Power: New Work of Louis Kahn,” Architectural Forum 121 (August-September 1964): 162-170; “The Death of the Street,” Perspecta: The Yale Architecture Journal 18 (1963): 91-96; and American Architecture and Urbanism (New York: Praeger Publishers, 1969), 140-146. Lucia Allais, “Integrities: the Salvage of Abu Simbel,” Grey Room 50 (Winter 2013): 7. Vincent Scully, “Introduction” to Robert Venturi, Complexity and Contradiction in Architecture (New York: Museum of Modern Art, 1966), 9. Quoted in Levine, “Biographical Sketch,” in Scully, Modern Architecture, 30. See “Bibliography of Vincent Scully’s Writings,” in Scully, Modern Architecture, 368-383. Levine, “Introduction” to Scully, Modern Architecture, 10. Richard Conniff, “The Patriarch,” Yale Alumni Magazine (March/April 2008), accessed 4 June 2015. See also: James Stevenson, “What Seas What Shores,” The New Yorker (18 February 1980), accessed 4 June 2015; “Mailer vs. Scully,” Architectural Forum 120 (April 1964): 96-97; and Levine, “Bibliography,” in Scully, Modern Architecture. Yale now offers both a Vincent J. Scully Professorship in the History of Art and a Vincent Scully Visiting Professorship in Architectural History (through the School of Architecture). The Vincent Scully Prize was established in 1999 by the National Building Museum in Washington, D.C. In 2010 Checkerboard films released Vincent Scully: An Art Historian Among Architects; accessed 5 June 2015. Conniff, “The Patriarch.” In 2005, Scully presented the Vincent Scully Prize to Prince Charles, Prince of Wales; in 2004, President George W. Bush presented Scully with the National Medal of Arts. A first-generation college student myself, I read Scully’s American Architecture and Urbanism (1969) during the early 1980s. It was the first book on architecture that I’d read and its effect was transformative — a not uncommon experience, I’d imagine. See: Homer A. Thompson, “review of The Earth, The Temple, and the Gods: Greek Sacred Architecture, by Vincent Scully,” Art Bulletin 45 (September 1963): 277-280; Jonathan E. Reyman, “review of Pueblo: Mountain, Village, Dance by Vincent Scully,” American Anthropologist 80 (June 1978): 433; William H. Jordy, “The Symbolic Essence of Modern European Architecture of the Twenties and its Continuing Influence,” Journal of the Society of Architectural Historians 22 (October 1963): 178-179. See: Mark Jarzombek, “The Saturations of Self: Stern’s (and Scully’s) Role in (Stern’s) History,” Assemblage 33 (1997): 6-21; Starvos Alifragkis and Emilia Athanassiou, “Educating Greece in Modernity: Post-War Tourism and Western Politics,” The Journal of Architecture 18 (2013): 699-720; Dell Upton, “An American Architecture?,” in John Davis et al., eds., A Companion to American Art (Chichester: Wiley-Blackwell, 2015), 215-220; and Aaron Passell, Building the New Urbanism (New York: Routledge, 2013), 91. Jill Lepore, “The New Economy of Letters,” Chronicle of Higher Education (3 September 2013), accessed 5 June 2015. My thanks to Places Editor Nancy Levinson for drawing this article to my attention, and for her many thoughtful suggestions throughout the making of this essay. As with everything I’ve published here, she made it better than it otherwise would have been. Alex Osmund, Academic Writing and Grammar for Students (London: Sage Publications, 2013), 20. For a more nuanced view, see Rebekah Widdowfield, “The Place of Emotions in Academic Research,” Area 32 (June 2000): 199-208. For more on this see: Colleen Flaherty, “Where Have all the English Majors Gone?,” Inside Higher Ed (26 January 2015), accessed 4 June 2015; and Tamar Lewin, “As Interest Fades in the Humanities, Colleges Worry,” New York Times (30 October 2013), accessed 4 June 2015. Stanley Tigerman, Schlepping Through Ambivalence: Essays on an American Architectural Condition (New Haven: Yale University Press, 2011), 115-116. Jarzombek, “The Saturations of Self,” 11. See Lee Gutkind, The Art of Creative Nonfiction: Writing and Selling the Literature of Reality (New York: John Wiley and Sons, 1997). Janet Malcolm, “The Purloined Clinic,” The New Yorker (5 October 1987), 126. Timothy Rohan, The Architecture of Paul Rudolph (New Haven: Yale University Press, 2014), 3. Richard Pommer, “The Art and Architecture Building at Yale, Once Again,” The Burlington Magazine 114 (December 1972): 858-859. The buildings Pommer cited were Wright’s Florida Southern College campus and Le Corbusier’s High Court at Chandigarh. Rohan, The Architecture of Paul Rudolph, 84. Timothy Rohan, “Rendering the Surface: Paul Rudolph’s Art and Architecture Building at Yale,” Grey Room 1 (Fall 2000): 100. Rohan, The Architecture of Paul Rudolph, 177. Scully had last published with Architectural Review in March 1954 — an article drawing on his dissertation and on material that would appear the following year in his book The Shingle Style. His A&A review of 1964 was one of three essays he published in the magazine that year: the first, on “The Capitals of Klopedi”,” appeared in February; a review of Ivor de Wolfe’s The Italian Landscape appears in that same May issue as his A&A review. Other essays published under the “Criticism” rubric during the first half of 1964 included Julius Posener on Hans Scharoun’s Philharmonie Concert Hall in Berlin (March), John Jacobus on Stirling and Gowan’s Leicester University Engineering Building (April), and Charles Correa on Le Corbusier’s Assembly Building at Chandigarh (June). Rohan, The Architecture of Paul Rudolph, 112. Rohan, The Architecture of Paul Rudolph, 174-176. See also Tom McDonough, “The Surface at Stake: A Postscript to Timothy M. Rohan’s ‘Rendering the Surface,’” Grey Room 5 (Autumn 2001): 102-111. Rohan, The Architecture of Paul Rudolph, 176-177; Vincent Scully, Modern Architecture: The Architecture of Democracy, revised edition (New York: George Braziller, 1974), 49-50; Robert A. M. Stern, New Directions in American Architecture, revised edition (New York: George Braziller, 1977), 33. On Rudolph’s Asian work see Rohan, The Architecture of Paul Rudolph, 215-243. Michael Sorkin, “Paul Rudolph: A Personal Appreciation,” Architectural Record 185 (September 1997): 40. Nicolai Ouroussoff, “Yale Revelation: Renewal for a Building and Its Original Designer,” New York Times (27 August 2008), accessed 4 June 2015. 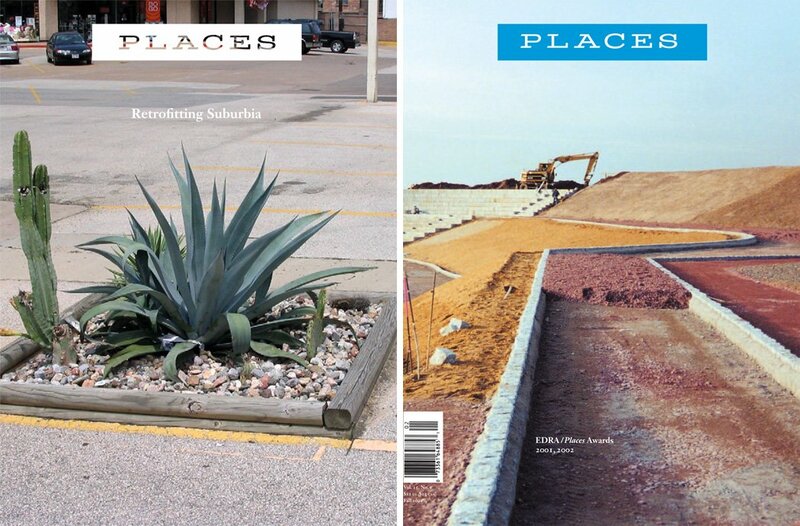 See: Chris Mottalini, After You Left/They Took it Apart: Demolished Paul Rudolph Homes (Chicago: Columbia College Chicago Press, 2013); Michael Kimmelman, “Clock Ticks for Paul Rudolph’s Orange County Government Center,” New York Times (3 March 2015), accessed 4 June 2015; and Nate Berg, “Should we Demolish or Cherish Brutalist Architecture?,” The Daily Beast (15 April 2015), accessed 4 June 2015. Other significant Brutalist works currently under threat include Alison and Peter Smithsons’ Robin Hood Gardens in London (1972) and John Madin’s Birmingham Central Library (1973). Introduction by Barbara Penner. Archival Text by Reyner Banham. Reyner Banham was not only an extraordinary scholar but also a prodigiously productive journalist. Consider his remarkable analysis of a legendary crash-test dummy. Introduction by Barbara Penner. Archival text by Catherine Bauer. Decades ago Catherine Bauer argued passionately that governments must ensure that all citizens are well housed — a call to action more vital than ever as our shelter crisis deepens. Introduction by Alona Nitzan-Shiftan. Archival text by Lewis Mumford. Decades ago Lewis Mumford argued passionately that Jerusalem should become a world city, both de-politicized and de-nationalized. His argument remains powerful and problematic. Keith Eggener is a columnist for Places. He is Marion Dean Ross Professor of Architectural History at the University of Oregon.